Shmuel graduated from Hasmonean High school and then studied for two years at Yeshivat Har Etzion. He is currently reading Philosophy and Economics at the London School of Economics and Political Science and is a qualified Philosophy specialist for the Philosophy Foundation. As Mazkir Shmuel brings an emphasis on community and education to the role. Josh has been involved in Sinai Youth for many years. He has studied at Kerem B’Yavneh, Kings College London & LSE. He works in banking for Citigroup, and has worked for Barclays, Bank of America, the Police & United Synagogue. He brings a wealth of experience to the Vaad and is a steady hand guiding Sinai’s future. Rabbi Alan Kimche has been a Rav and senior lecturer for over thirty years. After receiving his Semicha he became the Rav of a new shul, Ner Yisrael. Thirty years on and Ner Yisrael is a thriving modern orthodox community. 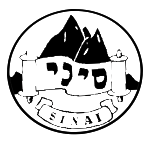 The Rav has been a key supporter of Sinai for many years and the Ner Yisrael community is at the heart of Sinai’s activities.